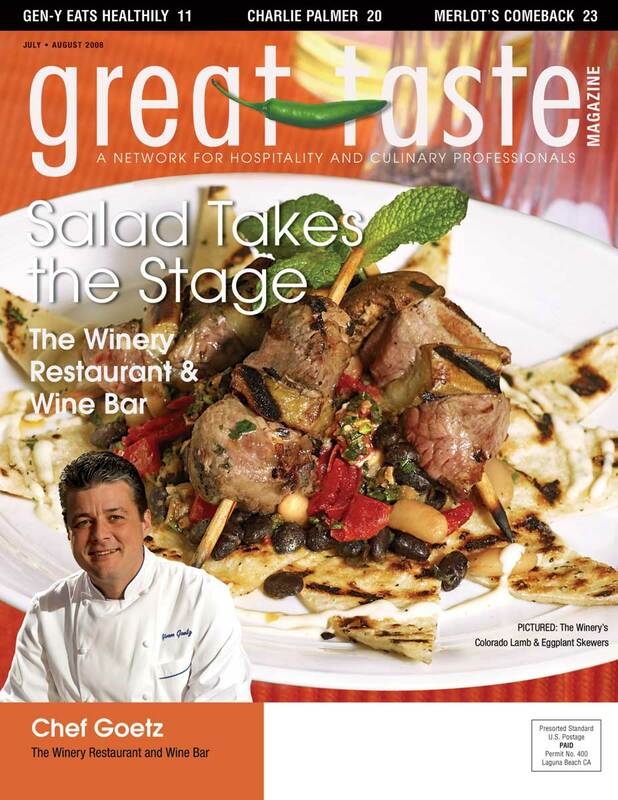 Great Taste Magazine 2008 July August Issue features Chef Yvon Goetz and culinary news, tips, recommendations and recipes from Orange County restaurant chefs. In this issue, the salad takes the stage! Be sure to grab a copy of Out of the Frying Pan, by author Gillian Clark. This book tells of Clark’s journey to the top of the chef stratosphere, and also offers parenting advice and includes over forty of Clark’s best recipes. The Produce Pick of the Month for this issue is Bing Cherries. These delicious bite sized treats are ideal for eating out of hand and adding a colorful pop to any summer dish! The Cheese Pick of the Month is Pleasant Ridge Reserve from Uplands Cheese. This cheese has done something no other cheese has ever accomplished before. On top of being a two-time Best of Show winner it also earned the title of US Champion. Must be some great cheese! It’s summer time! Did you know basil could be used in soups, salads, sauces and pasta dishes? Chef Gabriel Caliendo talks about the lesser-used part of the basil plant; the seeds. Check out The Spice Rack to learn what basil seeds are commonly used for. Summer in Southern California says it all. We’ve got everything from sun, sea, swimsuits, and the feature of this issues Sur Le Menu, salad! Salads don’t just have to be a plate of leafy greens. These featured salads are comprised of everything from duck to potatoes to caramelized almonds and Kobe beef. Besides the already known health benefits, salads offer an array of endless possibilities. Salads are not only seen as an entree, but have also been popping up on appetizer menus and are commonly used as a side dish substitution. 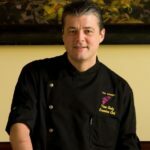 Last but not least, read up on internationally renowned Chef Yvon Goetz and his accomplishments throughout his career. The list is quite extensive. years as editor and publisher of Orange County’s only hospitality trade magazine combined with her consultancy for the non-profit sector and her public relations expertise give Williams a far-reaching, varied and unique perspective of the industry. Besides her esteemed Great Taste publication, she has extensive experience in the travel industry (retail agent and wholesale), event planning and volunteerism. Williams has contacts around the globe in the restaurant, hotel, media and travel trades. She has also been applauded for her enthusiastic charity work and has chaired numerous chef, food and wine events on behalf of local non-profit organizations, for which she has helped garner more than $1 million in donations through the years. Known for her unflagging enthusiasm, entrepreneurial spirit, can do attitude and joie de vivre, Williams is a constant presence and authority on the OC culinary and hospitality scene.